Welcome to the Equinox Marathon and Relay site! The Equinox Marathon is the premier running event in Interior Alaska. With most of the course on trails and a challenging climb up and over Ester Dome—and up and over it again!—it is a challenging marathon that will test your running abilities. But don’t worry if it seems too overwhelming! Our generous 10 hour time cutoff is great for walkers who can keep a steady pace, and you can do just a third of the course by joining a relay team. As the name suggests, the race takes place near the Equinox, in this case the autumnal equinox in the latter part of September. 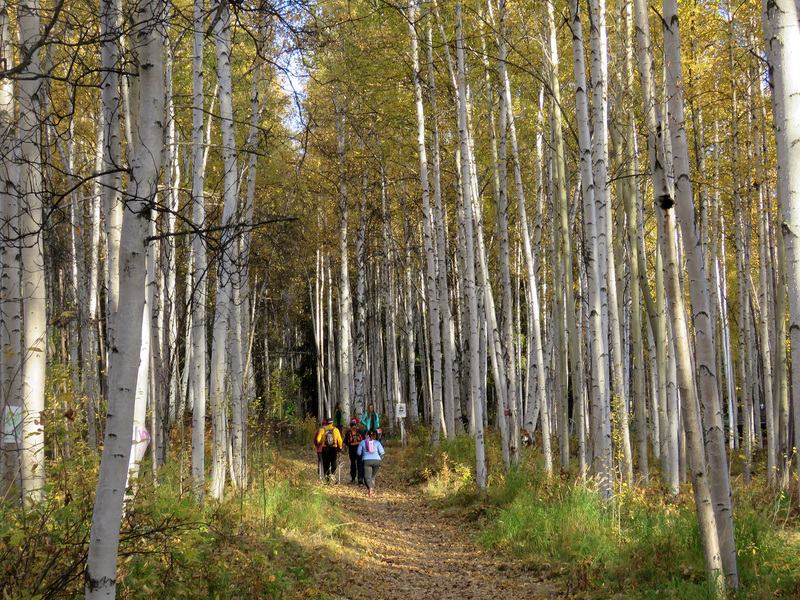 This is the time when we near the end of our beautiful, green Fairbanks summers, as the leaves turn yellow and orange and trees begin to lose their leaves. But is (usually) before winter’s snows begin to fall. The entire community comes out to run, volunteer, and spectate in this big end of summer party. We’re steeped in history and lore, and hope that you’ll join us!